B2B Italian Companies digital transformation is the biggest opportunity to produce efficiency and be competitive worldwide. 2018 will be the Artificial Intelligence application year, processes will be revolutionised to support sales, customer service, market analysis and more business areas. 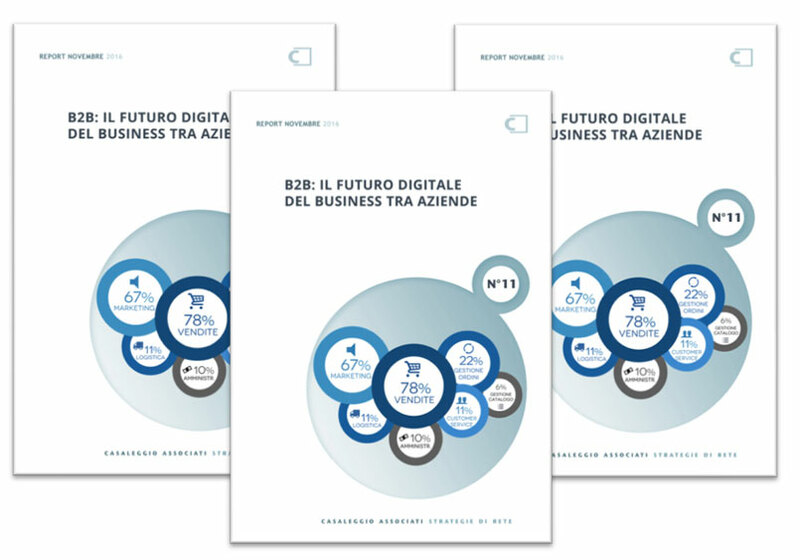 The second edition of the conference “THE DIGITAL FUTURE OF BUSINESS BETWEEN COMPANIES”, was held in Milan in November 2017. Discover the research and the infographics “Blockchain for business, How the blockchain will revolutionise the way companies operate” presented during the third edition of the event “B2B: the digital future of business between companies” held on 13 November 2018. Socio fondatore di Casaleggio Associati, consulente nell’ambito dell’innovazione della Rete, nella definizione di modelli di business on line, nell’impiego aziendale della Teoria delle Reti, dell’intelligenza artificiale, dei social media e nel marketing on line. E’ autore dei libri I modelli dell’e-business (Tecniche Nuove) e di Tu sei Rete (Casaleggio Associati). He is a technologist and collaborates with universities and consortia for training events on digital economy. He is a technical manager in a multinational company and has continuous relations with the CxOs of the largest Italian companies. After graduating in Political Science with a specialization in International Economics, he attendended a II level post-graduate course in “Government of information systems: development, management and monitoring” at the University of Roma Tre. He takes an active part in congresses and forums on issues concerning, in particular, innovation in ICT in digital economy. He is a member of Assob.it, a non-profit association to promote Blockchain technology. He has published articles on several newspapers and writes regularly on Il Sole 24 Ore-Nòva100. 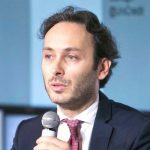 Emanuele Cicco is Trade & Working Capital Product Manager in UniCredit and is responsible for the development and implementation of Trade Innovation services (including Block Chain and Big Data). Joined UniCredit in 2004 and before this role was Vice President, Business development Manager in Corporate & Investment Banking with the responsibility on strategic project directly reporting to CIB Co-Heads. Previously Project and Process Manager in Goup Organization Division dedicated to Global Transaction Banking and Marketing and Product Development in Bancassurance subsidiary managing the relationship with Pioneer and Partner Insurance Companies such as Credit Ras and Aviva Vita. Before UniCredit worked in commercial department for IW bank and in a niche Consulting firm specialized in Financial Services. Holds a Master’s Degree in Corporate & Investment Banking in SDA Bocconi School of Management – Milan, Italy and a Degree in Economic – Financial Markets and Banking Administration in Università Cattolica Del Sacro Cuore, Milan, Italy. Degree in Management Engineering from the Politecnico di Milano, with a master’s degree in Consulting and Management for SMEs and in Organization and Management at the University of Virginia Darden. Between 2000 and 2003 he worked in the General Directorate of Webegg Group, as Operation Manager. Since 2004 he is a founding member and administrator of Casaleggio Associati. He deals with Content and Social Media Strategy in the context of digital publishing and new media. Renato Grottola was born in Bari, Italy. He has a master of science with honours in Electronic Engineering from the Bari Polytechnic University, and has also completed Executive Management Development Programs of INSEAD, IMD and UC Berkeley. In his early career Renato successfully participated in various entrepreneurial contests organized by Business Idea, and also founded Prima, a consultancy company in the field of Innovation and Marketing. He originally joined DNV in 1993 and held several management positions over the years. After a three-year period as Vice President Business Development for the company Etnoteam in the ICT sector, Renato rejoined DNV GL in 2003. He is currently a Senior VP of DNV GL Business Assurance where he holds the position as Global Director for M&A and Digital Transformation, with a particular focus on the development of blockchain enabled digital assurance solutions. Born in Asti in 1974, married with three children. He graduated in Computer Science from the Piemonte Orientale University Amedeo Avogadro in 2000 and has been a researcher at CSELT (Centro Studi E Laboratori Telecomunicazioni) of Telecom. In 2002 he joined Hewlett Packard, taking on increasing responsibilities as solution architect in leading large scale integration, IT simplification and IT transformation projects in international teams and being responsible for the startup and transformation of major Telco companies. Starting from 2005, he held senior level management positions for Accenture in several technology transformation projects, as innovation strategist and digital transformation leader and then was appointed responsible for the “Technology and Collaboration” and “Cloud Computing” practice in the IGEM (Italy, Greece and Emerging Markets) area. 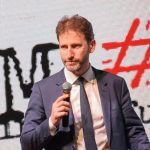 He joined Poste Italiane Group in 2012 as IT Director of Postecom and Posteshop, leading the digital transformation, developing innovation strategies and helping the company reposition for the digital era by building capabilities for digital innovation, product/service design and delivery. 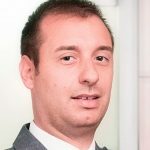 In 2015 he was appointed IT Director of the Mail, Logistic and Communication Services and Post Office Network IT sectors in Poste Italiane. 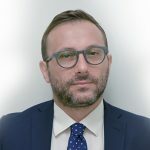 Since 2017 he is Chief Information Officer (CIO) of the Poste Italiane Group. 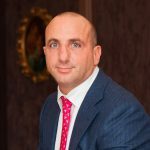 Giuseppe is leader of Blockchain HUB Mediterranean Region di EY (Italy, Spain, Portugal). He Joined EY in 2009 with experience in strategic and management consulting, focusing on: technology innovation and management improvement programs mainly in Public&Government, Consumer&Retail products, Banking, Logistic, Healthcare, Trasportation and Automotive. 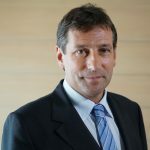 After graduating with a degree in Physics from Milan University, Romani began his career at Logicasiel (now NTT Data) in 1992 as a software analyst, becoming Head of the Banking Business Unit in 1998. 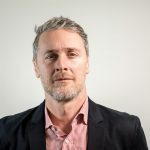 In the period 2000-2001, he worked at Sapient (now GFT) where he took part in the development of the startup in Italy, coordinating a number of important B2B and B2C initiatives, particularly in the energy and industrial sectors. Subsequently, Romani joined HP as Client Principal for all projects relating to banks Intesa Sanpaolo and UniCredit, as well as working on analytical CRM and security. In 2003, he moved to Between, initially creating the “Innovative Payments” and “Security” organizational units and coordinating the startup of the Brazilian subsidiary. In the Innovative Payments sector, Romani was in charge of e-money and mobile payments projects (NFC, wallet, Peerto-Peer, mPOS and private label network), while in the Security field, he worked on setting up a system of controls (including IT compliance and Risk Management) and on the strategic positioning of the portfolio of services. Later on, he was made Associated Partner, taking on responsibility for innovation activities in the bank sector. In January 2015, Romani joined SIA as Head of the Innovation Lab, the organizational structure charged with developing new service lines in the area of digital and contactless payments and value added services, within the Financial Institutions, Corporate and Public Sector Divisions. In January 2017, he was appointed Head of Innovation of SIA with responsibility for supporting the transformation of SIA’s offering in the payment systems field. He is also Chairman of the subsidiary Ubiq. 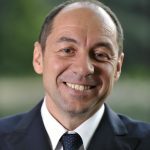 Since December 2017, Nicolò Romani is also a member of the Assofintech Board of Directors. 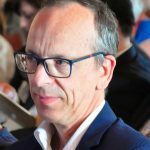 Massimo Tortorella, born in 1970 and graduated in Law, registered in the Special register of Journalists, is the President and founder of Consulcesi. Visionary and brave entrepreneur, he is among the pioneers of Blockchain technology in the FinTech industry. His creation has become an international multi-company, recognized as a giant in the legal field. With Consulcesi he introduced in the 90s web services for the medical profession and launched the sector’s largest e-learning platform. In 2017 the Group enriched with the new Consulcesi Tech division, which got significant results after a few months: the innovative eco-mining project in Moldova, the first European regulated cryptocurrency fund and the first master’s degree in “Blockchain and the Economy of Cryptocurrency” jointly with Link Campus University of Rome. All of these projects were anticipated in “Crypto-Revelation”, a book written by Massimo together with Andrea Tortorella, the CEO of Consulcesi Tech. It has succeeded in taking the lead in the best-seller list of sector. The book has been translated into numerous languages and it was presented in Brussels to Antonio Tajani, the President of the European Parliament, during an event attended by the most important EU political exponents who are working in FinTech industry. During the presentation all the speakers have emphasized the importance of the European Blockchain Partnership, the significant declaration signed by the Deputy-Prime Minister Luigi Di Maio for the Italian government. During the event, the group led by Tortorella was recognized as a team made up of experts in the field by the “European Post” and other internationally-recognized titles and technicians. The aim of the teamwork is to collaborate with governments around the world, starting with EU member states and Switzerland. Tortorella thinks it is important to define the necessary rules for the development of the new technology to improve activities and services. Fausto Villani è un imprenditore nel settore delle tecnologia digitali applicate al settore del turismo e beni culturali, sicurezza e tracciabilità alimentare, monitoraggio ambientale, innovazione modelli sociali ed economici. 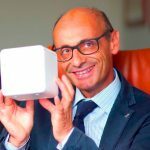 È Amministratore di diverse società tra cui Tab Consulting, Exo Ricerca e Distretto Agroalimentare di Puglia, Tbox Chain. Dal 2017 si occupa di startup e blockchain connesse all’innovazione della fruizione turistica, dei beni culturali nonché del rapporto tra informazioni e beni comuni. È sottoscrittore del “Manifesto del Lavoro ben fatto” #lavorobenfatto: “ciò che va quasi bene, non va bene”. Barbara Carfagna – Journalist, author and TV presenter. Ideator, author and TV presenter of the TV programme Codice la vita è digitale and of the column Infosfera about digital societies for Rai 1. Born in Rome in 1969, Barbara Carfagna began her journalistic activity in 1994 in local newspapers and magazines. She has been in RAI since 1995, starting in Rai 2 at L’Altra Edicola. She worked with Giovanni Minoli in Format and Mixer and she collaborated on the television columns of TG1 Prima, Storia, Dialogo. Under Albino Longhi’s direction, she switched to TV7 and Speciale TG1, following the main events in Italian news and realizing special investigations in Ethiopia, Niger, Nigeria, South Africa, Cambodia and Germany on social issues and foreign policy. For Rai Educational (now called Rai Cultura) she produced reports on the French colonies in Africa. She collaborated with Unomattina, Porta a Porta and Chi l’ha visto?. In 2004 Clemente Mimun took her to the newsdesk of TG1, where she followed the Italian judicial and crime news. She worked also as presenter of TG1 and Italia Italie, a specific column dedicated to successful immigrants. Since 2009, she has been dealing with the impact of digital technology on people and companies by creating reports in universities and in the most technologically advanced countries in the world with insights on digital policies, economics, finance, cryptocurrencies, blockchain and cybersecurity, in Italy and abroad. She has met world-renowned academics and researchers such as Luciano Floridi, Eugene Kaspersky, Iroshi Hishiguro, Yuval Noah Harari, Audrey Tang, Zygmunt Baumann, Geoff Mulgan, Aubrey De Gray, Stuart Kauffmann, Julian Nida Rumelin, Martin Sorrell, Tom Barrack. She collaborates with Italiana, Il Foglio, Panorama and Formiche on issues of politics, economics, digital societies. She edited for Mondadori the eBooks “Digital Democracy: the second phase” (2018) and “Security Network: guide to cybersecurity” (2017).